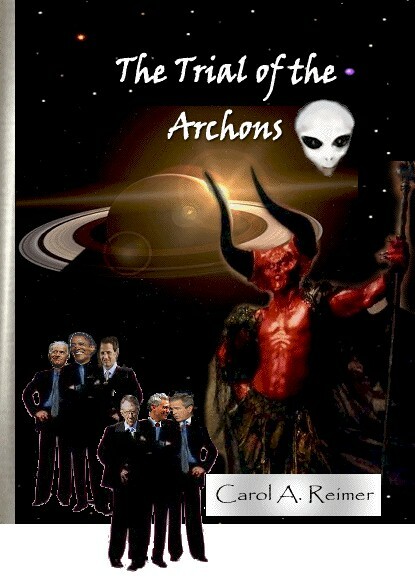 A sequel to Sophia And The Archons . . .
. . . It rejects even the assumption that human creatures could espouse a philosophy, which must ultimately destroy all that is good and decent." This provocative quote by the late J. Edgar Hoover will arouse an automatic rebuttal of disbelief within most individuals until its message resonates with a ‘knowingness’ on a deeper level and validates his suspicions and fear. Throughout history, people have been victim to incredible inhumane treatment of 'psychopaths' who were in power. Those who rebelled were crushed and killed. Look at humanity’s history of war. Frankly, I am tired of talking about these ‘horrors’. History is nauseatingly redundant. The point is - I’m disgusted with the evil! Aren’t you? Isn’t it time for humanity to seek a new paradigm? The old one - the one designed by the ‘power brokers’ isn’t working - for the majority of us, that is. For them, it’s working fine. It’s time to deal with the problem and find solutions. Humanity is facing dire times. If we don’t wish to be exterminated - every human must rise to the occasion and 'pay attention'! There is a plot to replace humans that is being engineered by GRIN - (genetics, robotics, artificial intelligence, and nano-technology). We are all being bathed in massive amounts of artificial frequencies that are intended for mind control, depopulation and replacement with cyborgs and robots . . . The new species (‘post-human‘) will likely view the old (‘normal humans’) as inferior, fit for slavery or slaughter. The ‘normals‘ may see the 'post-humans' as a threat and, if possible, engage in a preemptive strike by killing the post-humans before they themselves are killed or enslaved by them. Ultimately, this 'predictable' potential for genocide makes species-altering experiments potential weapons of 'mass destruction', and profiles the ‘genetic engineer’ a potential bio-terrorist. Observations like this support Prof. Hugo de Garis’ nightmare vision (The Artilect War) of a near future when ‘artilects’ and 'post-humans' join against ‘normals’ in an incomprehensible war leading to giga-death. Notwithstanding such warnings, the problem could be unavoidable, as Prof. Gregory Stock, (Redesigning Humans: Our Inevitable Genetic Future) argues . . . "Planned genetic enhancement of humans is impossible to stop. We simply cannot find the brakes.” Scientist Verner Vinge agrees, adding, “Even if all the governments of the World were to understand the ‘threat’ and be deadly fearful of it, progress would continue as the competitive automation advantage (economic, military, artistic) is very compelling and motivating." How does a concerned individual get the message out to mainstream? Well, one can focus on becoming a writer, but - careful now. The author must not arouse the NSA. So, the next best thing is for the author to write a novel in ‘faction’ (fiction mode based on ‘fact‘) and leave clues as to how the reader may obtain more information and become proactive. This is the endeavor of the “Trial Of The Archons”. Enjoy the read.